In what languages SmartPID documentation will be available? Is there any user manual or installation manual available ? 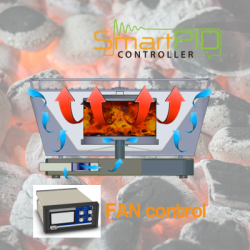 Does SmartPID support gas fired brewing systems? May I connect directly to smartPID the recirculating pump? Is stirrer/mixer for mashing supported instead of recirculating pump ? What type of brewing process are supported by SmartPID brewing app? What are main brewing automation features provided by SmartPID homebrewing app? How Much SmartPID will cost? Is SmartPID certified (CE or FCC)? Will SmartPID be available in my country ? May I pre-order smartPID or buy a prototype for beta testing? Is SmartPID ready available to buy ? How can I insert the SSID network name and password in the smartPID box to connect to wifi? Is possible to integrate SmartPID in other services (like IFTTT)? Is the smartphone dedicated application available for IOS and Windows phone? Is there any dedicated smartphone app available ? Is MQTT protocol supported ? What kind of protocol is used to upload LOG data to the server? What does it means that SmartPID is Arduino compatible ? What new applications are in roadmap? SmartPID has fermentation profile capabilities ? May I control fermentation chamber with SmartPID? what is the difference between basic application and vertical application (homebrewing, bbq..)? What are main SmartPID data LOG capabilities? Does SmartPID support 110V AC power supply? Is possible to upgrade smartPID FW ? Is PID autotune algorithm supported ? Is delay start for fridge compressor supported ? Are thermocouple sensors supported ? What type of temperature sensor probe are supported? SmartPID support either NTC and digital sensor on one-wire bus (DS18B20).